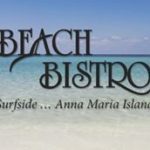 Where we like to dine on the beautiful Anna Maria Island. 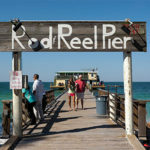 The Rod and Reel Pier is one of Anna Maria Islands hidden treasures. Tucked away on the far North end of Anna Maria, it is a “Little Bit of Old Florida” serving traditional fare, local favorites and famous fish specials since 1947. Serving breakfast, lunch and dinner, you’re sure to be able to catch sunrise or a beautiful famous Florida sunset while eating from a great selection of its menus. 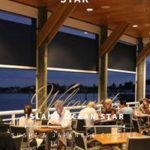 Island Ocean Star provides a unique dining experience on Anna Maria Island. Overlooking Bimini Bay. They offer Tapanaki and a wonderful Sushi menu. 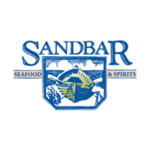 The Sandbar Restaurant, located on the north end of Anna Maria Island, has for decades been a favorite for locals. Dine with your toes in the sand and a drink in your hand on our waterfront deck or enjoy our inside dining room. 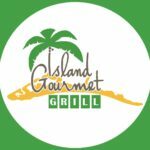 Island Gourmet Grill is a fantastic choice for dinner with friends or a romantic date with a loved one, and the service and visually appealing atmosphere will surely entice guests to come back for more. Al Fresco dining is also available along with a full bar. 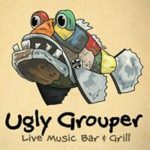 The Ugly Grouper is more than just another bar & grill. In addition to having the best food and coldest drinks for miles, they also have something fun for the whole family every day of the week. Island Coffee Haus is located right in the center of the Island. 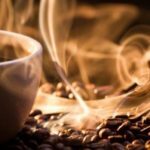 Stop in for great coffee, pastries, smoothies, snacks, and of course, conversation. You will always find a friendly mix of locals, snowbirds, and visitors. 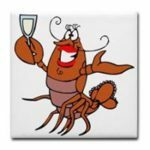 Lobstahs brings New England Style seafood to beautiful Anna Maria Island. They take great pride in providing the freshest seafood. 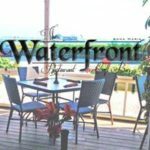 The Waterfront Restaurant specializes in New American Cuisine with an emphasis on sustainability. We strive to source only the finest ingredients from local and independent vendors. 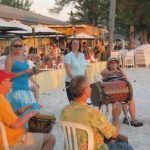 Anna Maria Island Beach Cafe offers casual gulf front patio and indoor dining on Anna Maria Island’s beautiful Holmes Beach. Watch the kids play in the sand and see a stunning sunset while listening to live entertainment and sipping on one of their “Island Sized” drinks. The locals love it, so you know you’ve found the right place! The Beach Bistro has consistently been awarded the highest ZAGAT scores in the state of Florida for “best food”. It also boasts a long-standing Wine Spectator Award, and due to its location, on the beautiful white-sand beaches of Anna Maria Island, overlooking the blue waters of the Gulf of Mexico, it has earned Bon Appétit’s acclaim for being one of Florida’s “Most Romantic Restaurants”.